Confront and release one clump a day for a year. Definition of a clump: clutter that might not have anything to do with size, weight, or even state of physical matter. The clutter of a long put-off deed, or of one dreaded paper, could represent heavy emotional weight. A clump is a life obstruction and is, therefore, highly subjective. Clumps documented will not always be from the day posted. Perfect is the enemy of done, and done is the objective. Share insights, discoveries, or causes for gratitude encountered on this quest. The biggest clump in my life lately has been right here: beginning the Clump A Day blog. But if anyone is reading these words — Hallelujah — I’ve broken through!!! This first clump is about what you might see in a picture in the dictionary next to the word clump. An ugly pile of dirt that has been right in plain view in our front yard for much too long. Kind of like a sign saying: “Procrastinators Live Here.” About a year ago we had a fluke October snow storm, and the poor tree that used to live here was split in half. A very helpful neighbor cut it down to a stump, which stayed, sticking out and growing shoots, for about a year. I finally called a stump man (Mr. Stump — really! 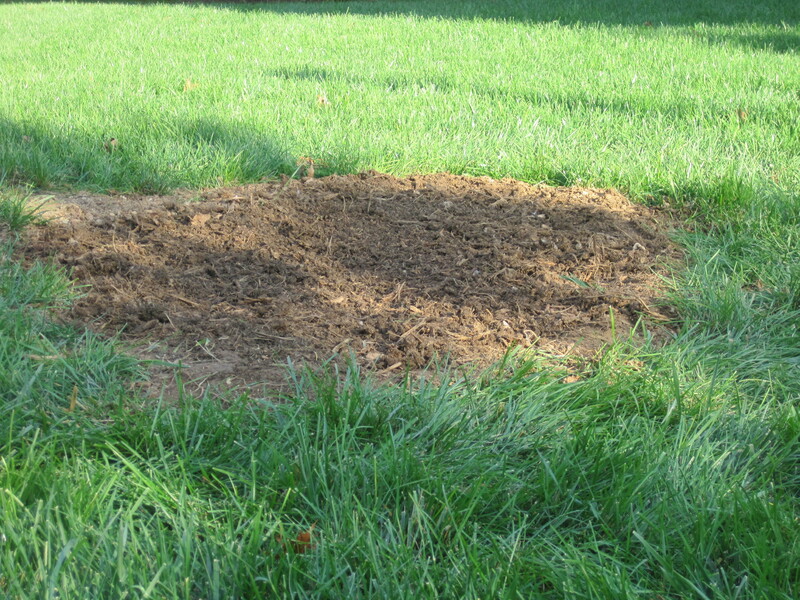 ), and he quickly took care of it, leaving behind this clump of dirt and stray remnants from the tree. Stumped by a clump of clumped stump. Pardon my husband for the captions below…if I can learn to insert the pictures myself, this will not happen again! After…waiting for grass seed to germinate! Husband is happy! 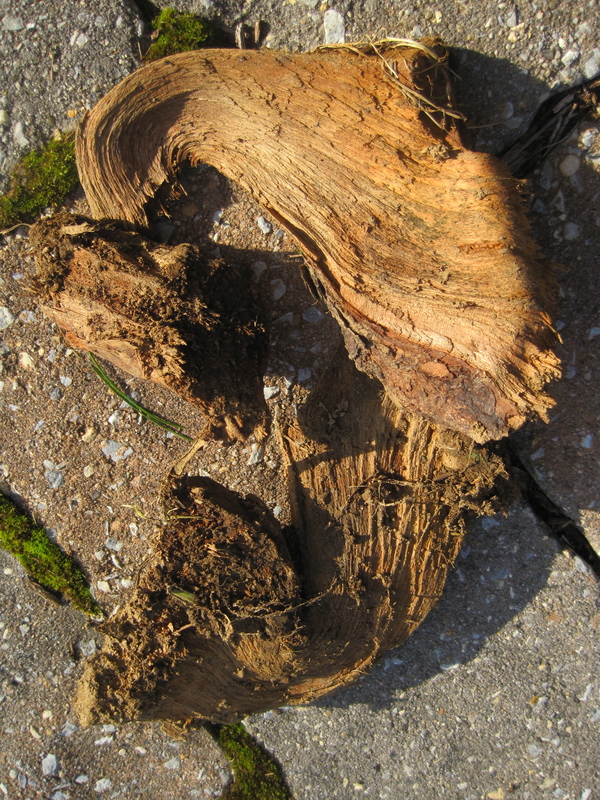 No more stump to de-clump!